The crown and nape has pale longitudinal stripes, not horizontal bars. The underparts are white. The breast, sides, and flanks are heavily barred. American Woodcock (Scolopax minor) has horizontal bars, not longitudinal stripes, across the head and nape of neck. The underparts are buff. 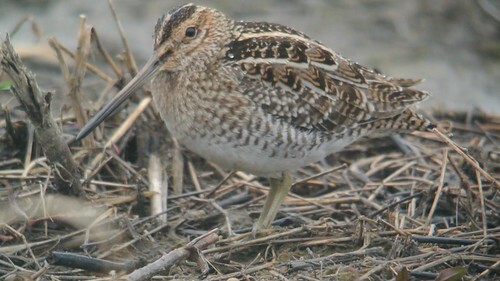 Wilson's Snipe Migration and Breeding display. Connecticut and Wyoming clips. 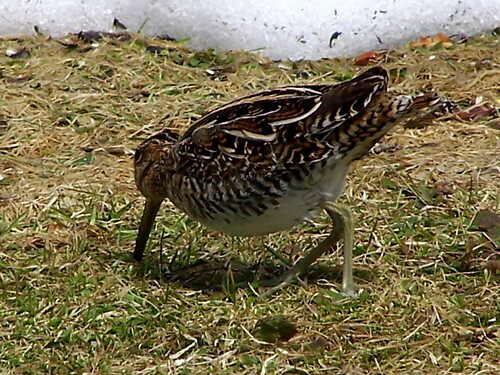 this snipe was feeding in a water ditch in the winter Dec. 2010. normaly they go, south in the winter to southern states and north south america. 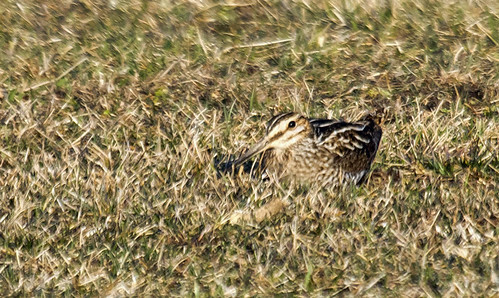 Wilson's (Common) Snipe actively foraging at Straightwater WMA, Seward County, 23 April 2009.